We begin with good news: there are two ways you can go about the job-hunt. Most often we're only told about one of them, namely the way that everybody goes about the job-hunt, instinctively, because that’s the way you do it, and that’s how it’s always been. If you’ve tried as hard as you can to find a job, and nothing is working, you need to switch approaches. If you’ve been using The Traditional Way—and it just isn’t working out this time—then you need to try using The Parachute Way—as outlined in the right-hand column of the chart. Sure, it’s harder to use this approach. Sure, it requires more of you. It’s more work. Sure, it asks you to do some hard thinking and reflect on who you are, and where you’re going with your life. But that is precisely its value. It’s not just about work. It forces you to step back, and first think about Who before What (shall I do). You get to think not just about your work life but your whole life, and what you want out of life. Get the book. Begin with chapter 7 (in the 2015 edition). You'll be surprised what a difference this makes, in your whole life. Skills. Was ever there a more misunderstood subject, or a more misunderstood word? Q. "I am handicapped. Do you have any special advice about a career for someone like me? A. Well, yes, I certainly do. Based on over 40 years of working with people who are, or feel they are, handicapped. . Let's begin with some simple truths. There are thousands of skills in the world; no one has all of them. Our culture calls some people 'handicapped,' as though the rest of us were Omni-competent. We are not. Were all the skills in the world put on one checklist, and submitted to each of us, there would be tons of unchecked skills on everybody's sheet! To be sure, not all 'handicaps' are created equal. Things some of us cannot do are merely "interesting," or "challenging," while things others cannot do are so basic to life that we are moved to tears when we see anyone live a triumphant life with that handicap - without whining or complaint. Each of us must define ourselves not in terms of what we can't do, but in terms of what we can. Normally, those of us who are not labeled as 'handicapped' in our culture, don't go out of our way to call a stranger's attention to the things that we can't do. For example, in my case, I can't compose music, I'm not good at athletics, and I'm a disaster at accounting. But these are not the first things I think to mention, when I meet a stranger. What I do mention, when asked about myself, is that I'm good at writing, designing, and teaching others how to make their life really work. I tell them what I can do. That's normal. But then we turn around, as a culture, and tell certain people to think of themselves as 'handicapped,' which of course draws everyone's attention, first and foremost, to what they can't do. So, the special advice I give to anyone dealing with what the world calls a 'handicap' is this: Forget what you can't do, and put all your energy into learning to describe what you can do. Then choose a career, based on that. 7. Intuitive Skills. Being good with the part of the world that cannot be seen. You understand people's feelings, you understand your own feelings, and you have a strong tie to faith and prayer. 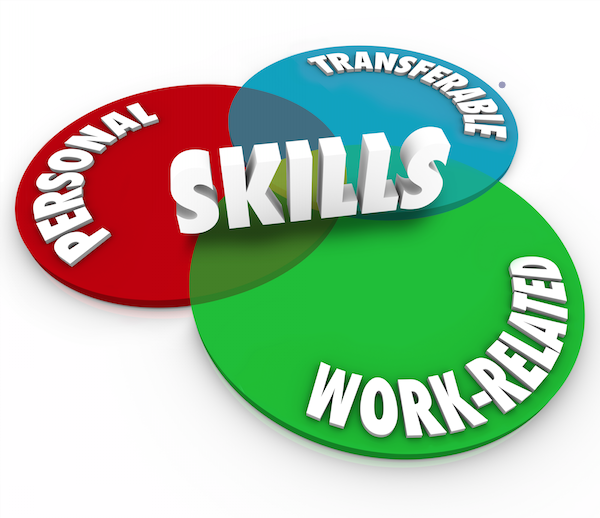 Each of us then needs to find work that requires the skills we do have, and does not require the skills we don't have. Remember, once you've identified a job that requires the skills you do have, and doesn't require the skills you don't have, your 'handicap' has become totally irrelevant when you apply for that work. Though you will sometimes find that is more true of small organizations (20 or fewer employees) than large. 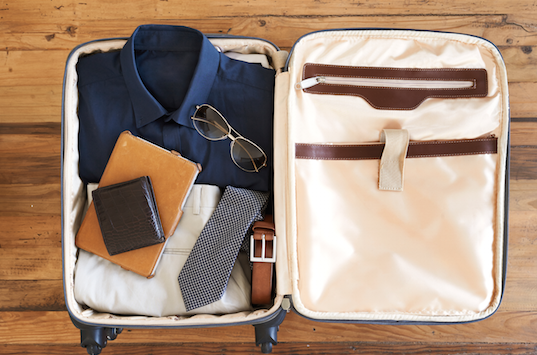 When a man is packing for a trip, he may throw in a dark blue blazer, because "it can go anywhere." Likewise, when a woman is packing for a trip, she may throw in "this little frock," because. again. it can go anywhere." This idea, that you have something which could fit into a number of different situations, is probably the best introduction possible to the concept that your basic skills – whether they be "organizing," or "analyzing," or "writing," or "teaching," or "planning" – are like that frock or blazer: they can go anywhere. Therefore, you have to decide what field you'd most like to use your skills in, what field or fields you'd be happiest employing your transferable skills in, because – believe me – where you'd be happiest is also where you'd be most effective. This is called "picking a field." Sounds easy. But I have learned over the past forty years that there is no subject where job-hunters and career-changers bog down more, than in figuring out their favorite field; so let me try to cut through the thicket by offering you ten ways to approach this. What kinds of problems do you most like to solve? In a sense all jobs deal with problems, and if you are good at your work you have to learn how to solve them. So, the question is: What kinds of problems do you most like to solve: are they with people, or with data, or with things? You get to choose the answer to this question, because your transferable skills can go anywhere. What kinds of questions do you most like to help people find answers to? Is it: what are the most popular videos this month? Or is it: how do I get my car to run longer? Or is it: what makes a marriage work? Etc. You get to choose the answer to this question, because your transferable skills can go anywhere. What knowledge of yours do you most like to display, to other people? Is it historical trivia? Or is it knowledge of computers? Or is it knowledge of some foreign land or culture? Etc. You get to choose the answer to this question, because your transferable skills can go anywhere. Computers? Gardening? Spanish? Handicrafts? Stamps? Skiing? Etc. Note that most hobbies are also industries. So, if you identify your favorite hobby, you may have identified your favorite field of interest, in which you can employ your transferable skill. What are your favorite words, that you most like to be tossing around, all day? Every field is, in a sense, a language. For example, the language of theology is: God, love, forgiveness, compassion, sacrifice, etc. The language of computers is: keyboard, screen, interactive, Web site, Internet, e-mail, etc. Often your heart is guided to a field where you'd most love to use your transferable skills, by considering what your favorite vocabulary is. Your heart knows, before your head. What's your definition of 'a fascinating stranger'? When you're at a party or conference, and you meet someone really fascinating, what is it that they talk about, that you find so fascinating? Granted that their expertise in that subject may be greater than yours, it's still often a very helpful clue as to where you might like to use your transferable skills. What blogs, posts, newspaper or magazine articles, do you most love to read? I mean, dealing with what subjects? Let's say you get really interested when you see an article that deals with. ... what? Answering this, may indicate the field where you'd like to use your transferable skills. What Internet sites do you most often gravitate to? "I gravitate to sites that deal with what subjects or fields?" Look at your bookmarks, here! There your favorite interests may lie naked before you, even if all other pathways prove to be dead ends. If you watch TV, and it's a 'game show,' which categories do you hope the contestant will pick? Or, if it's an educational channel, what kinds of subjects do you stop and watch? If you could write a book, and it wasn't about your own life or somebody else's, what would be the subject of the book? What would you most love to write on? Once you've identified or chosen your favorite field, the rest is a piece of cake (comparatively speaking). 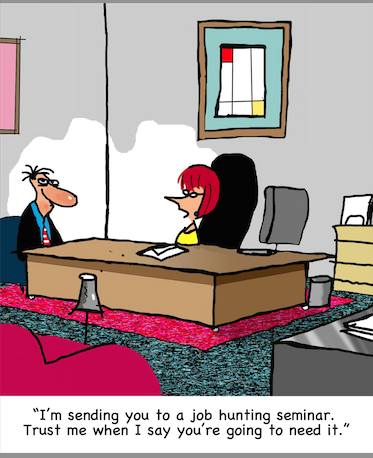 All you have to do is figure out how your transferable skills can be 'worn' in that field. 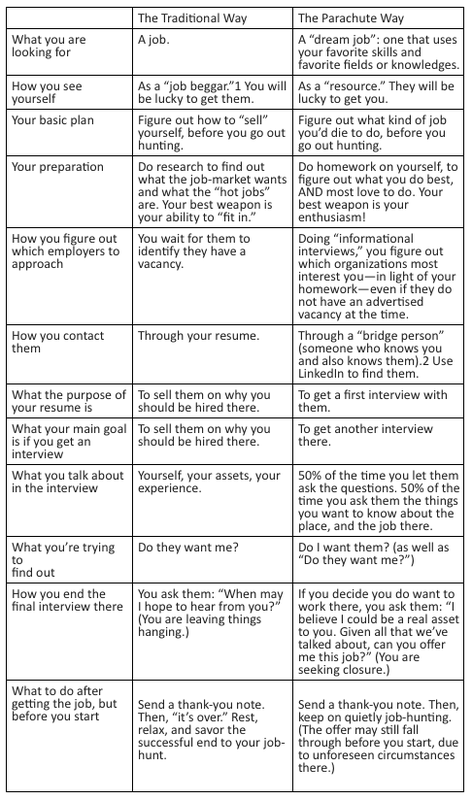 This is just a matter of "Informational Interviewing" or researching people in that field. That research is often easier than you'd think. For example, if you decide your favorite field is "Movies," just watch the closing credits next time you're in a theater. You'll get lots of useful clues as to what kinds of people are involved in making a movie. Jot them down. Look on LinkedIn or the Internet in general, to locate such people. Ask them whatever it is that you want to know about that field. Get them to introduce you to someone. And what a wonderful headline that could be, afterward: "I found my job while watching 'The Hunger Games.' "
Q. I'm thinking about moving to a different part of the country. How normal is this? Do most people just stay put all their lives? Please give me some perspective, and some ideas about how to go about it. A. Our ancestors were nomads. We are the descendants of our ancestors. Surveys reveal that the average person in the U.S. moves eleven times between birth and death. Sometimes that's within the same town; other times it's to a faraway place. Similar patterns of mobility often occur in other countries, as well. 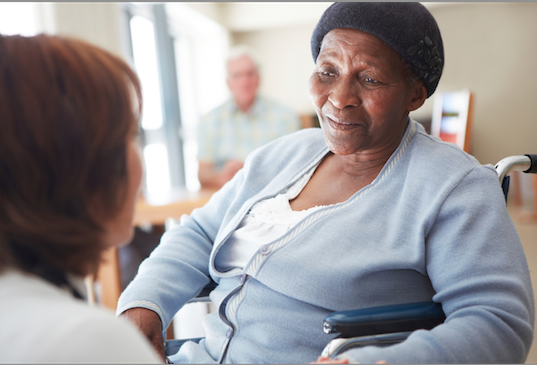 Some family member – say, your ailing or aging mother and father – may need you, and you decide to move in order to be near them. You like where you're living, but you just can't find any work – decent-paying work, anyway – there. It seems as though every job there is filled, numbered, and has a waiting list besides. You've decided you've got to move, if you're to find employment. Alternatively, it's too expensive to live where you are, and you want to move somewhere in the country where housing is cheaper, and a family can get by on less. So, how do you go about it? Well, it all depends on whether you know where you'd like to move to, or you don't. We'll look at the first scenario, first. If it's to be with your family, then of course you know the place. If it's to be with friends you know well, who will support and help you get settled there, then – again – you know the place. If it's your dream city, you've been there on visits before, and now you want to move there permanently, then you know the place. In all of these cases, where you know where you're going (and you know who's going with you), you need no advice from me. Except about job-hunting, once you get there; in which case, read (and do !) the 2015 What Color Is Your Parachute? (available at your local bookstore). But there are those other times, when you need or want to move, but have no idea where to move to. Well, what's most on your mind? Jobs, or a wonderful place? If jobs are the first thing on your mind, in deciding to move, you have three ways to go. For some time now, the list has been: North Dakota (2.8%) The lowest unemployment rate in the nation, due to 'the 200,000 square mile Bakken Formation (hint: source rock for fracking oil)', South Dakota (3.3%), Nebraska (3.4%), Utah (3.6%), Minnesota (3.9%), Hawaii (4.1%), Idaho (4.1%), New Hampshire (4.2%), Colorado (4.3%), and Kansas (4.4%). Now, however, as of December 2014 when oil prices tumbled, North Dakota expects unemployment to rise, along with other oil states not on the list above, such as Texas, Louisiana, Oklahoma and Alaska. Get a detailed map of each State that interests you, and pick one or more metropolitan areas in those States, so you can call or write to their Chambers of Commerce (pick up your phone and ask Information for their phone numbers, in each city). Ask those Chambers for all the information they have in writing about businesses which deal with your trade or specialty, and you ask that these lists be sent to you. Send them a thank-you note the day the stuff arrives, please. You may need to contact them again later, perhaps when you're actually in the area, and it will help you a lot if they can say, "Oh yes, you're that nice person who sent us a thank-you note when we sent you our materials. First thank you note we've gotten in three years." Chances are, they will bend over backwards to help you. (3) If jobs are the first thing on your mind, in deciding to move, there is a third way to go. And that is, to find out what places in the country have a particular need for your kind of skills. This is hard to do in the case of some jobs – like that of a geologist, say, but easier to do if you are a craftsperson or practice a particular trade. In the latter case, go to your local library, and ask the librarian to help you find a trade association directory, or directories. Look up the association that deals with your occupation, and jot down the address, phone, fax number, and e-mail address of their national headquarters. Fax, write or phone them and ask if they know where the demand is greatest, in that industry, nationwide. Jot down what they say. If they say they don't know, ask who might know. Get said person(s)' address and phone numbers. Contact them. Let's suppose you could do your work anywhere. Say, you're a writer. So, jobs aren't your primary consideration. You just want to move to a wonderful place, according to your own lights. There are, in this case, three ways you can go. First of all, you can interview all your friends and acquaintances, to ask them what places they have loved the most, in the U.S. or in whatever country you live. And why. This task can be a lot of fun. And then, out of all the candidate cities or towns they propose, choose two or three places that really interest you, for further investigation. Alternatively, you can turn to books. There are some that rate various cities and towns according to factors that may be important to you, such as weather, crime, educational system, recreational opportunities, etc. Look particularly for books by David Savageau or Bert Sperling. David's books are my favorite. They are listed at the end of this article. If you live in another country, you may find similar resources for your own country; visit a large bookstore, and ask. One word of caution: do remember, in all these books, that a computer was usually used to sum up, and rate, all the factors. You may find that the whole is less than the sum of its parts – i.e., it has the factors you want, but you're less than enchanted with how it all came together in the case of this particular place you're thinking about. Don't assume it has to be a metropolitan area. It may be you will discover, as you go about this task, that your idea of paradise is to 'go rural' – to move, at last, to 'the country'. Sometimes it's the desire for a simpler life; sometimes, it's the desire for a less expensive cost of living. Whatever the reasons, if this is your vision, take this vision seriously. You only have one life to live, on this earth. Just be sure to investigate it thoroughly, even as I was just cautioning you, in the case of urban places. "Look before you leap" is always a splendid caution, and it means – in this particular case – that if there's a place that sounds good to you, be sure to go visit it as a tourist before you up and move there. Go there, and talk to everyone. Get the good side, and the bad. Interview anyone you know, who has moved from urban to rural, and ask them what they like most about the move, and what they miss the most about their former locale. Then weigh what you learn. Thirdly, you can do the geographical exercise in chapter 7 of the 2015 edition of Parachute. However you go about it, you want to try to come up with three names, because if your first choice doesn't pan out for some reason, you will have a backup, and also a backup to your backup. Well, let us suppose that one way or another,you have picked three places. It is crucial to go visit them, if you possibly can, rather than just letting your choice rest on the fact that the place looks good in a book. You may hate this place, on sight. How nice to learn that, early on. So, figure out how to get there. 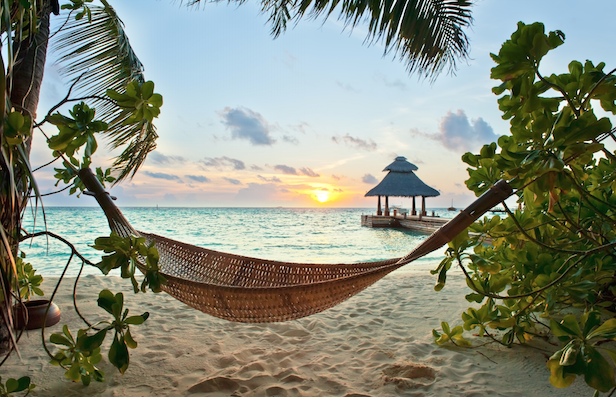 Do you have a vacation coming to you, that would fall within the time period between now and when you must finally have a job there? Could you visit it on that vacation? Could you take a summer job there? Get sent to a convention there? Get appointed to a group or association that meets there? Think it through.And finally, when you're ready to go visit that town or city in person, try to line up contacts and interviews ahead of time, before you go there. See the next section, below, to learn how you uncover possible job-leads.If you have trouble lining up contacts, see if that town or city has any church, synagogue, or national organization that you belong to here. Write, tell them of your local affiliation, and ask for their help in finding the kind of people you're trying to connect with.If you have a spouse or partner, who will be going with you, they should be doing the same kind of research, and setting up their own interviews. In addition to interviewing about jobs, you will want to explore (of course) the issues of apartment vs. house, of rental vs. buying, and the like.Back home again, you will want to weigh what you have learned, and weigh whether or not the place still interests you; and whether any of the jobs you looked at, interest you. If going into a new geographical area is a totally new experience for you, and you have no friends there, just remember there are various ways of meeting people, making friends, and developing contact rather quickly. The key is, find people who share some interest or enthusiasm of yours. There are also athletic clubs, Y's, churches, charitable and community organizations, where you can present yourself and meet people, from the moment you walk in the doors. You will soon develop many acquaintances, and some beginning friendships, and the place won't seem so lonely after all. Also, visit or write your high school or college before you set out for this new town and find out what graduates live in the area that you are going to be visiting for the first time: they are your friends already, because you went to the same school. Once you get there, you will want to talk to key individuals who can suggest other people you might talk to, as you try to find out what organizations interest you. You will want to define these key individuals in your distant city ahead of time and let them know you are coming. Your list may include all the people listed above, plus Chamber of Commerce executives, city manager, regional planning offices, appropriate county or state offices in your area of interest, the Mayor, and high-level management in particular companies that look interesting from what you've read or heard about them. When you "hit town," you will want to remember the City Directory, the Yellow Pages of your phone book, etc. You may want to put a modest-sized advertisement in the paper once you are in your chosen geographical area saying you would like to meet with other people who are following the job-hunting techniques of What Color Is Your Parachute? That way you'll form, or join, a kind of 'job-hunters anonymous,' where you can mutually support one another in your hunt. "Suppose I arrived cold in some city, the one place in all the world I want to live – but with no idea of what that city might hold as a match and challenge for my 'personal-talent bank.' I have an economic survey to make, yes; but I also have an equally or more important personal survey to accomplish. So, I meet pastors, bankers, school principals, physicians, dentists, real estate operators, et al. I would be astonished if opportunities were not brought to my attention, together with numerous offers of personal introduction to key principals. All I would be doing is forging links (referrals) in a chain leading to some eventual jobs. The referral is the key." How do you do this, while still remaining in your present location. More specifically, how do you find out about jobs, at a distance? If your chosen city or town has a local newspaper, subscribe, even while you are still living here. Read the whole paper, when it comes, however long delayed. Look particularly for: news of companies that are expanding, news of promotions or transfers (that creates vacancies down below in 'the company store'), and the like. If you can get the Chamber of Commerce there, or someone you know there, to send you their phone book, particularly the Yellow Pages, by all means do so. You first want to discover some organizations that, at a distance, look interesting to you. Then you want to research them, at a distance, as much as you can. It will help if you can regard the city or town where you presently are, as a kind of parallel city to the town or city you are interested in. In which case, some of your research can be done where you are, and then its learnings transferred. For example, suppose you wanted to use your interests in psychiatry, plants, and carpentry, in your future career. In the city where you presently are, you would try to learn how to combine these three. You might learn, right where you are, that there is a branch of psychiatry which uses plants in the treatment of deeply withdrawn patients, and these plants have to be put, of course, in wooden planters. Now, having learned that where you presently are, you would then explore your chosen city or town to see what psychiatric facilities they have there, and which ones – if any – use plants in their healing program. Thus can you conduct your research where you are, and then transfer its learnings to the place where you want to be. In doing your research of organizations that interest you, it is perfectly permissible for you to write to the library in your target city, asking for information that may be only there. If the librarian is too busy to answer, then use one of your contacts there to find out. "Bill (or Billie), I need some information that I'm afraid only the library in your town has. Specifically, I need to know about company X." Or whatever. If you are on the Internet, on Facebook or LinkedIn or both, start with a wonderful app called Jobs with Friends (http://friends.careercloud.com ). It copies all your friends or Links from Facebook or LinkedIn, then tells you where they work, whether there are any known vacancies where at the moment, etc. Using its job-search partner, Indeed, it can also send you an alert when a new vacancy appears at any of those places where your friends, contacts, or "bridge people" work. Also any church, synagogue or national organization you belong to, that has a presence in that city or town, may yield true helpfulness to you, if you know what it is you want to know. Write or phone them, and tell them that you're one of their own and you need some information. "I need to know who can tell me what nonprofit organizations there are in that city, that deal with X." "I need to know how I can find out what corporations in town have departments of mental hygiene." Or, whatever.If you decide to approach the places which interest you, first of all by mail, you will want to research each organization so that you know who to address the letter to, by name. Get the name spelled absolutely accurately, and double-check. Nothing turns off a prospective employer like your misspelling her or his name.Your letter will carry a lot more weight if you can mention, in it, the name of contacts that you have developed, as outlined above. As for whether or not you should enclose a resume with your initial contact letter, experts' opinions vary widely. Everything depends on the nature of the resume, and the nature of the person you are sending it to. With some employers I know, the sight of a resume is death to any future rapport between you and this person. It will ensure that your letter is merely tossed aside. Other employers like to see resumes. It's hard to predict what you should do.Personally, I think a well-composed letter summarizing all you would say in a resume, may be your best bet; with a closing paragraph indicating that your resume is available, should they wish it.Once you've turned up some promising job prospects, you will have to go there, to that town or city, in almost all cases, for the actual job interview(s). And if this is your first visit to the place, try to go there a week or so ahead of your interviews, so you can look the place over, and decide Do I really want to move here? It's a little late to do on-site explorations, but, hey, better late than never! How Hard Should I Work At This? Harder than you think. We kept score with one man's job-hunt. He was researching a distant place. While still at a distance, by means of diligent research he turned up 107 places that seemed interesting to him. Over a period of some time, he sent a total of 297 emails or letters to them. He also made a total of 126 phone calls to that city. When he was finally able to go there in person, he had narrowed the original 107 that looked interesting, down to just 45. He visited all 45, while there. Having done his homework on himself thoroughly and well, – and having obviously conducted this part of his search in an extremely professional manner, he received 35 job offers. When he had finished his survey, he went back to the one job he most wanted – and accepted it.No one can argue that you should be dealing with numbers of this magnitude. But this may at least give you some idea of how hard you may need to work at this. Certainly, we're not just talking about five letters and two phone calls. We're talking about rolling up your sleeves, and being very thorough. Well, that's a legitimate question. Millions of people have moved to new cities and towns, and found not only work but joyful work there. On the other hand, countless people have moved to new towns or cities and have not been able to find work. What's the difference? Well, luck, obviously. But also, much, much depends upon the method they use in their job-search. If you follow diligently the process described in Parachute, iyou will vastly increase your chances of success. Here is how one job-hunter described the whole process, and the way in which it worked for him. Forget it was 25 years ago. The Grand Canyon hasn't changed that much; nor the people around there. They're still just as nice! "In 1990, my wife and I took a trip out to the Southwest from our home in Annapolis, Maryland, to see the Grand Canyon and sights like that. We both fell in love with the Southwest, and said, "Wouldn't it be great if I could get a job out here as a highway engineer, and maybe we could work with the Native Americans." Back in Annapolis, I purchased Parachute and read it with extreme interest. So I started some network planning, and scheduled another upcoming trip to Arizona in February of 1992, planning to visit various engineering offices and check out living conditions. Meanwhile, I visited the U.S.G.S. Headquarters in Reston, Virginia. On the way out, I noticed an ad on the bulletin board for 'Highway Engineer - Bureau of Indian Affairs, Gallup, New Mexico.' Naturally, I applied for the job but received notice that the position had been cancelled. Disappointed, my wife and I decided to each spend a day in prayer. On the following day I received a call from that office in Gallup informing me there was another position for Highway Planner now open; was I still interested? Still interested?! Using your advice, I called the Bureau in Gallup and got the names of the bosses of the various divisions or sections that would impinge upon my application. I sent in the application to the person by name who was the chief decision-maker. In February of 1992 we carried out the trip I had been planning, now including a visit to Gallup. We visited headquarters there, though they weren't yet ready to formally interview, since not all applicants had yet been screened. However, it was a useful visit, and on returning, I wrote Thank You notes to all the people I had met, and hoped for the best. In March I received another phone call, asking for further information; I used this to invite myself out for an actual interview, at my expense. My offer was accepted, I was out there in two days, the interview went well, and I received official notice to report for work in May. We were ecstatic! And we found a house in Gallup, through a friend in Annapolis who had a friend in Gallup, who knew of a co-worker who was moving out. In short, ours is a wonderful story. Who would think a 66 year old man could leave one job and move into another full-time job, at a salary almost equal to his present one, in a place 2600 miles away, that he and his wife truly love! What a blessing! And what you said has stuck with me all this time: I've remembered to write my Thank You notes." Retirement Places Rated: What You Need to Know to Plan the Retirement You Deserve (Places Rated series) by David Savageau 2007 Sure it's outdated (by seven years or so). So what? Places don't change that much. It compares places for living costs, job outlook, crime, health, transportation, education, the arts, recreation, and climate. Has numerous helpful diagrams, charts and maps, showing (for example) earthquake risk areas, hurricane and tornado risk areas the snowiest areas, the stormiest areas, the driest areas, and so on. Although purportedly about retirement, it is useful information for any time of life. Compares 200 top geographical areas in the U.S. So much for metropolitan areas. 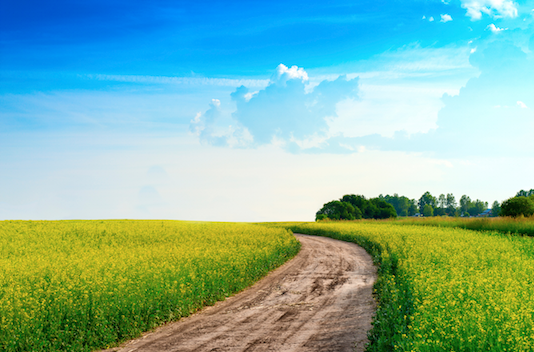 If you are interested in the rural life, there are resources for that. The best one is:The Caretaker Gazette, published by Gary C. Dunn, 2503 E MARTIN LUTHER KING JR BLVD., AUSTIN TX 78702-1448 . 206-462-1818. $29.95 for a one year online subscription (six issues). The only up-to-date source for property caretaking in the world. Landowners, who are searching for caretakers, advertise in this Gazette. People who want to be caretakers, in a particular place, advertise here. Caretaking is an inexpensive way for you to experience life in a specific geographic area, particularly rural ones, without paying rent. There are lots of opportunities. A recent issue, by way of example, had 120 job listings in 35 states and 25 countries. Marilyn and Tom Ross, Country Bound! (tm) Trade Your Business Suit Blues For Blue Jean Dreams (tm). Communication Creativity, P.O. Box 909, Buena Vista, CO 81211. 1992.